I have an account on LinkedIn where I try to make sure all my reviews and updates for Skullbanger get posted. As a result on occasion I get contact by people in bands from various locations. This time I got contacted from a band called Dirigiri from San Antonio, Texas. Dirigiri seem to play a mix of death/black metal with some good solid heavy metal riffing. For me as a listener I am not a big fan of vocals which are styled after the more extreme metal styles but that is more of a personal taste as I know there is a large fan base out there that do like that singing style. 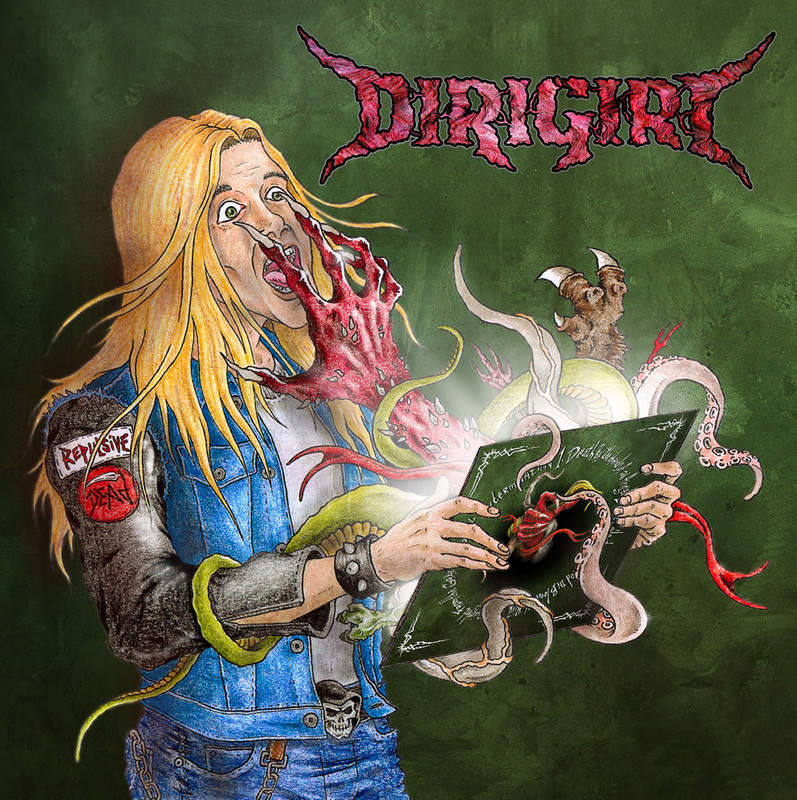 In my opinion, Dirigiri’s main strength lies in the bands ability to craft catchy riffs and make the songs enjoyable to bang your head to. The music is rooted in the more extreme thrash metal out there but is held together well by crafting the riffs to keep the listener engaged which is always important. If you are looking for an extreme metal band from the U.S. that draws inspiration from their European counterparts but also plays this brand of metal well, Dirigiri is the band you are looking for. The EP contains 5 songs that I think most fans of the genre will find enjoyable to listen to as it is very aggressive and doesn’t relent in the musical sonic assault from start to finish.